PayPal Checkout helps you sell more online. 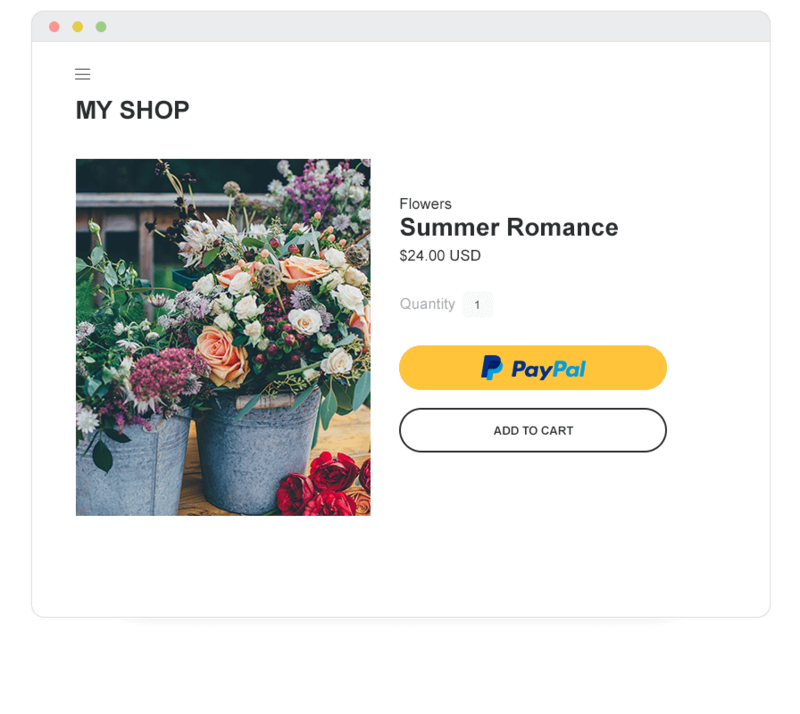 The new PayPal Checkout, now with Smart Payment ButtonsTM, offers payment options that make it easy for shoppers to pay the way they want - without leaving your website. Offer more payment options to your customers. PayPal Checkout lets you present shoppers with the most relevant online payment method based on their market. Enable fast checkout on your site. With One TouchTM, customers can skip PayPal login and quickly complete their purchase on your website or app. With Smart Payment ButtonsTM, no matter where you are selling from, you can accept the payment methods that are most relevant to your customers wherever they are buying from. We are working towards having a growing network of local payment methods that can be incorporated into the new PayPal Checkout. *PayPal Credit is not available in all countries and is subject to consumer credit approval. Fewer screens, fewer clicks, and better checkout conversion. When customers use PayPal, they can skip online forms and complete their checkout in just a few taps, helping boost your sales conversion and reduce shopping cart abandonment. Shoppers can start the checkout process on the product detail or shopping cart page. They review and confirm payment details in a secure pop-up window on your website. PayPal passes customer contact and shipping details to you, so buyers can check out without needing to input more information on your site. One integration for today and tomorrow. Once you sign up and add PayPal Checkout to your site, you'll automatically receive the latest updates and improvements—no additional work required. We recommend working with a web developer or an ecommerce platform provider to integrate PayPal Checkout with your site. Integrating PayPal Checkout requires development skills. If you have a developer, you can share our documentation with them or you can find a PayPal Certified Developer. Add it to your existing platform. Already have an ecommerce website? PayPal Checkout is built into many major ecommerce platforms. How is PayPal Checkout different from Express Checkout and PayPal Standard? 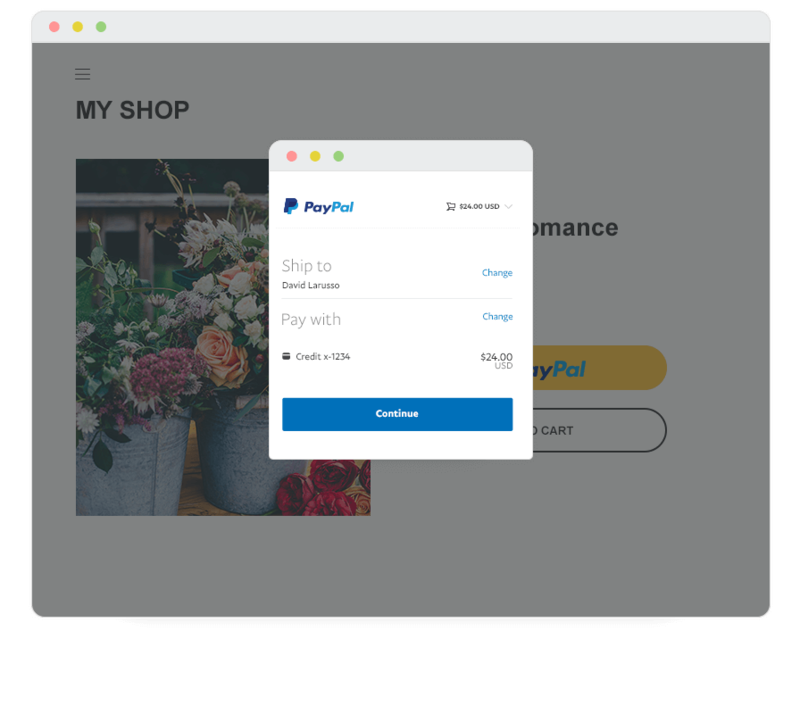 PayPal Checkout is the new and improved way to accept payments on your website and includes some new features. 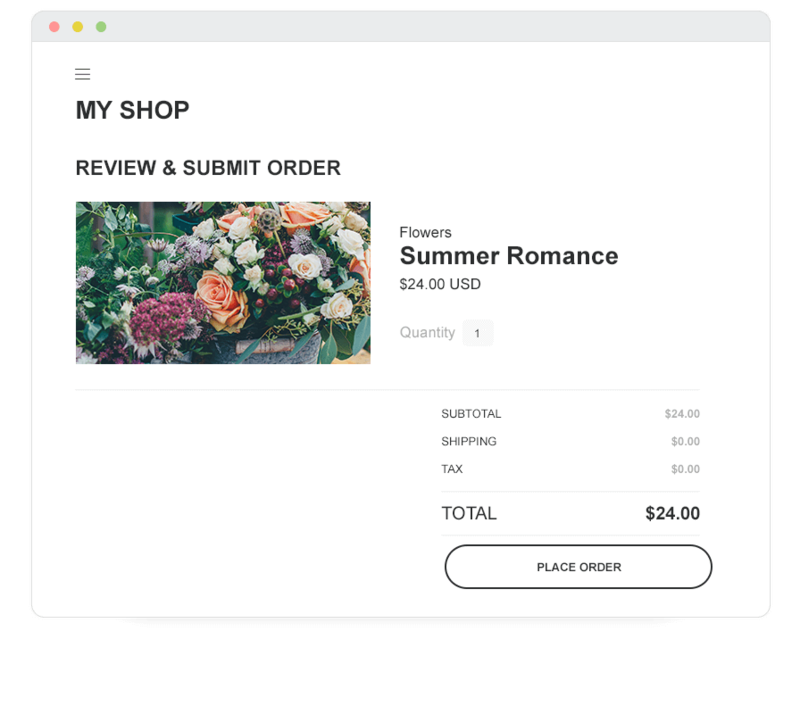 First, PayPal Checkout uses a different integration method that can intelligently present relevant payment types to your shoppers based on their location. We can also update buttons, payment methods, and the checkout experience automatically, with no additional work on your end. Second, PayPal Checkout comes with new features such as Smart Payment Buttons and alternative payment methods like PayPal Credit (more coming soon). It is a consumer credit product that is offered in several markets across the globe, including the US and UK. PayPal Credit is a line of credit that gives customers the flexibility to pay for purchases now, or pay over time. It’s easy to apply and easy to use. PayPal Credit can be used at thousands of stores that accept PayPal. It’s also available for purchases on eBay and exclusively at thousands of other online stores. PayPal Credit can help you grow your business by driving more volume and higher order sizes. By using PayPal Checkout, the PayPal Credit payment button will automatically appear in your checkout when eligible customers purchase on your site. You can also access marketing tools to let your customers know you accept PayPal Credit. As always, there are no set-up or monthly fees—you only pay when you get paid. You mention Alternative Payment methods… what does that mean? PayPal is working towards having a growing network of local payment methods that can be incorporated into the new PayPal Checkout with Smart Payment ButtonsTM. This means that no matter where you are selling from, you can accept the payment methods that are most relevant to your customers no matter where they are buying from. Once you've integrated PayPal Checkout and enable these payment methods, you will not have to make any additional updates as more methods become available. Need help selecting and setting up the right payment services? Our Developer Center is full of useful information about our APIs, platform compatibility, set-up guides and other technical questions. Need help with an existing PayPal Business account?